The way the story is most often told, in the second century BC a Greek king by the name of Antiochus ruled over the Seleucid Empire, and that included Judea and Samaria. 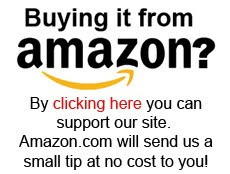 Jews were being pressured to adopt Greek culture. Antiochus went so far as to outlaw Judaism, and ban circumcision. Then in 167 BC he ordered that a statue of Zeus be erected in the Jewish Temple and pigs be sacrificed on the Temple's altar. His desecration of the temple so outraged the Jews that they rebelled. In this animated account the rebellion is depicted as being led by "Judah the Hammer" but that is an abridgment of the traditional tale. The rebellions was led by Judah's father, Mattathias, along with all five of Mattathias' sons, including Judah. Judah would become the leader only later, after his father died. Two years after the rebellion began victory was won! The statue of Zeus was quickly destroyed and then the Temple was rededicated. The Temple menorah was relit, but, according to the Talmud, only enough oil for one day's worth of burning could be found, and yet the menorah remained lit for eight days until new oil could be brought in. There is some minimal violence, as you might expect in a story of armed insurrection. But it is basically bloodless. And children of school age would likely be able to handle this. How much of the story is true and how much is legend we can't quite be sure. The miracle of the eight day oil supply is found only in the Talmud, where it was written down about 600 years after the event. However the Maccabee rebellion itself is described in 1 and 2 Maccabees and in the works of historian Josephus, giving us good reason to think the core of the story is true. A eight day festival of lights, also called Hanukkah, commemorating the rededication of the temple, is still celebrated by Jews today. This is a good but not great video – 28 minutes simply doesn't leave enough time to do this story justice. 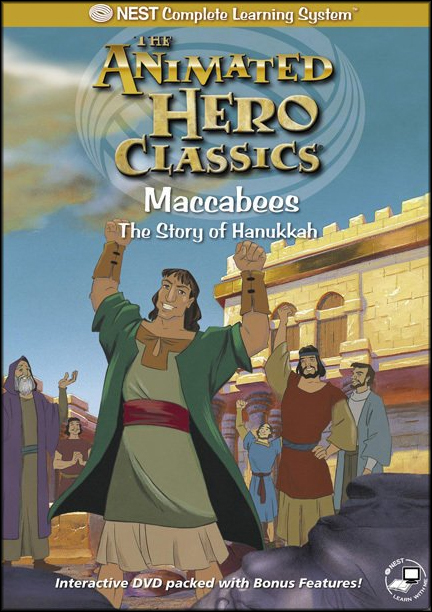 But for children, and parents too, who have never heard about Hanukkah's origins, this will grab their interest. The depiction of the Greeks' persecution of the Jews is clearly meant to parallel the action of the Nazis – particularly when Greeks soldiers are going house to house, busting down doors, looking for orthodox Jews. So another reason to watch would be as a gentler way to introduce students to the sad reality of Anti-Semitism than could be done with anything Holocaust-related. 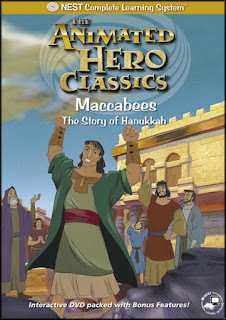 You can buy your own copy of Maccabees: The Story of Hanukkah at Amazon.com by clicking here.